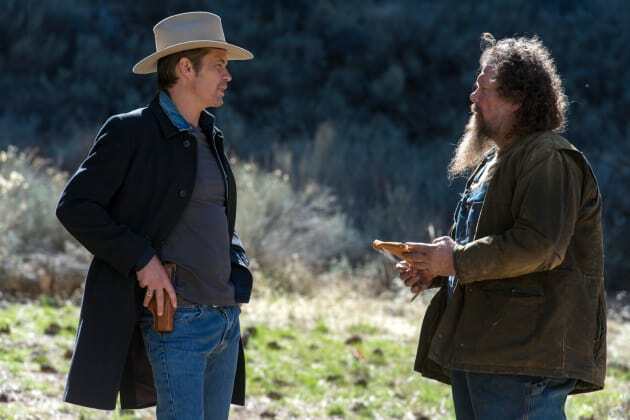 Raylan heads to the mountains in search of Ava on Justified. "Collateral" is the 12th episode of the show's first season. Justified Season 6 Episode 12: "Collateral"
Boyd: How you know I wasn’t some Boy Scout looking for his tent? Raylan: Your teeth glow in the dark. Permalink: Your teeth glow in the dark. Before you try to seduce me, just know it’s been tried before. Permalink: Before you try to seduce me, just know it’s been tried before.